As part of the PlantBot project, I wanted a way to look at sensor data over the internet. These sensors are moisture, light and pressure. The main one is moisture, the other two were just added in because I had the parts lying around. I made the moisture sensor using some galvanised nails. First just solder some wires to the top of the nails. Then cover most of the nail with heatshrink, just leaving the tips exposed. The arduino nano has a USB-Serial converter on board so it can be plugged directly into the pi via usb and start sending serial data. 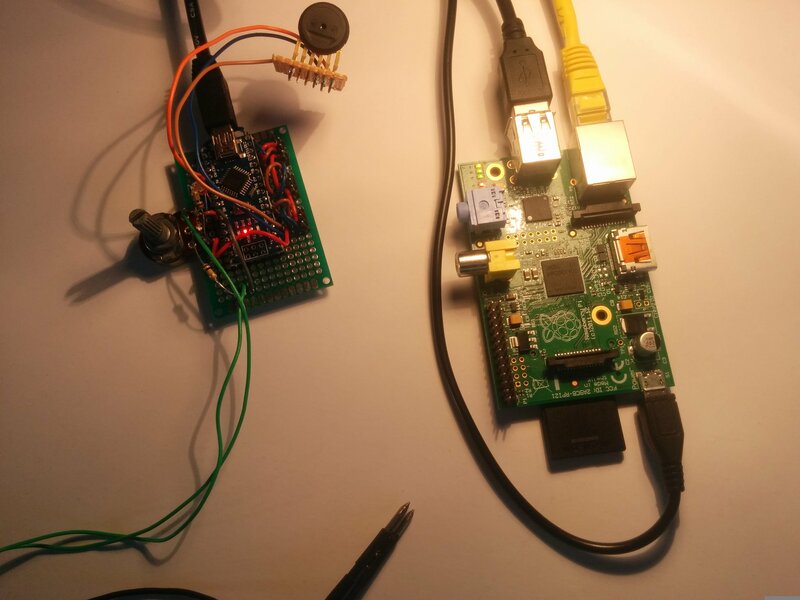 This arduino program waits to receive a serial character from the pi. Once received it will read all of the sensors and send back the sensor values to the pi via uart. 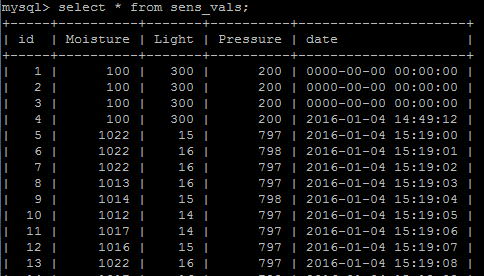 This means that every 30 mins the sensors are read and their values placed in the MySQL database. // Ensure anti-aliasing is off. If it is not, you can SetWeight() all day and nothing will change. This PHP program looks kinda bulky but most of it is just jpgraph stuff to make the graph look nice. Lines 1-34 is where the MySQL db is accessed and the sensor values read in PHP arrays. I’m still working out some of the kinks with jpgraph so while it’s not perfect, you get the idea. As I’m writing this post now (10th January 2016), all it contains is a picture of the graph – I’ll be adding to it in the near future. Just planted some cress seeds in part of this plantbox I have – will manually water it (uh effort) for the next few days/weeks or however long it takes for cress seeds to grow. 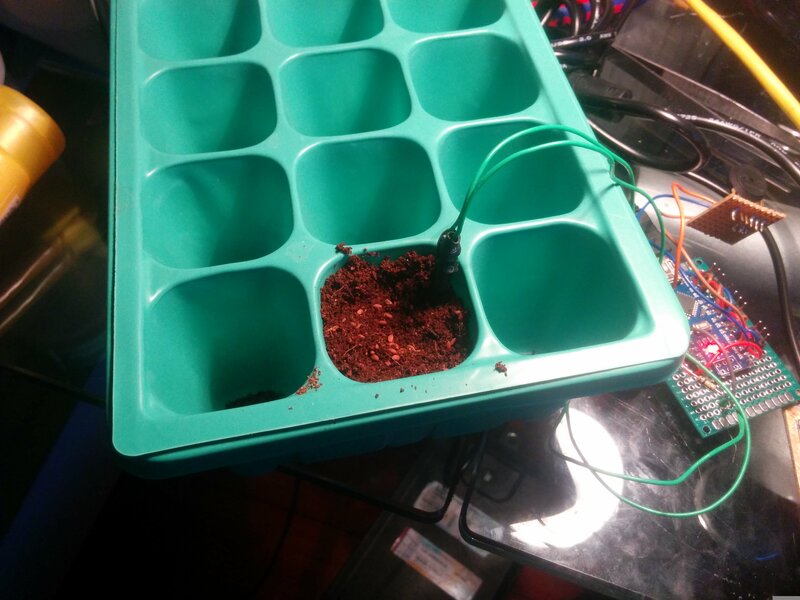 This will be automated soon enough by Plantbot. Stay tuned! 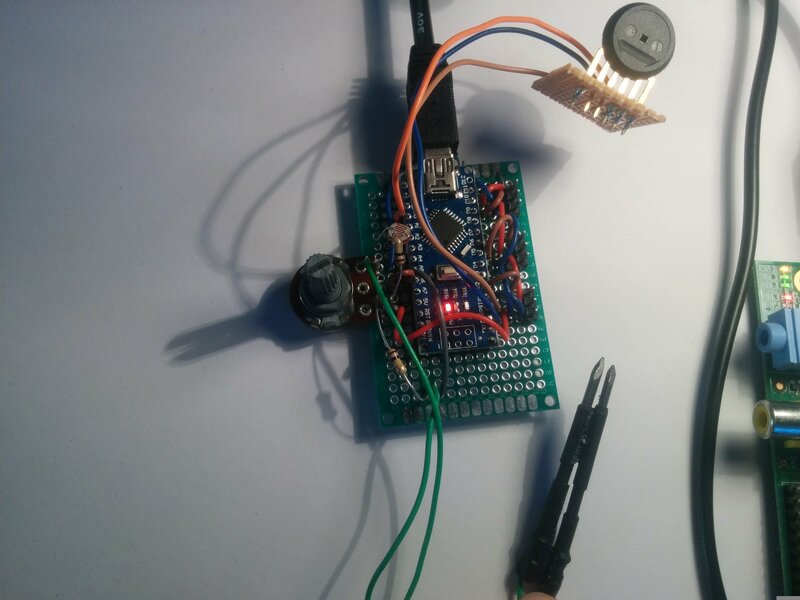 This entry was posted in Arduino, Atmel, how to, Microcontrollers, PHP, Projects, Python and tagged internet connected, plantbot, sensors. Bookmark the permalink. Nice little project! I was just wondering if there was a specific reason for not using the Pi to read the sensors? Is it due to the lack of built-in ADC? Would a PCF8591 be cheaper than using an arduino? Try googling your problem and if that doesn’t work post to an Arduino/Raspi forum. Best of luck with it.